In the last episode, Spinny and Leiby showed that for a certain definition of some of the key terms of our common-sense conceptual apparatus, of substance and property, cause and effect, part and whole, it was logically necessary that all substances, that is all really properly existing things, be indivisible and not interact with each other. This is in a sense quite a direct and intuitive move: if we understand ‘substance’ as ‘what can be understood to exist without implying the existence of anything else’, then the only substance is the total system, not any element of it. 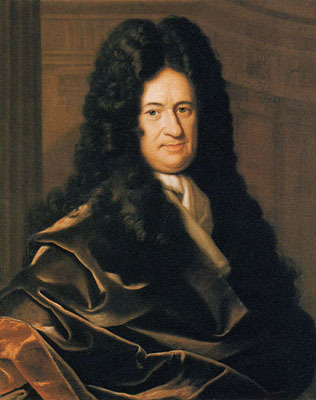 Leibniz, who believed in a personal God, could then say that there are a multitude of such insulated systems, one of which is me, but I know that the others exist, and what they are like, because of my faith that God created them and made them exactly the way I think they are (when I’m thinking properly). Spinoza, sensible enough to reject a God of this sort, instead had to say that only one substance exists (in his words “God or Nature”) of which I and you are simply aspects. 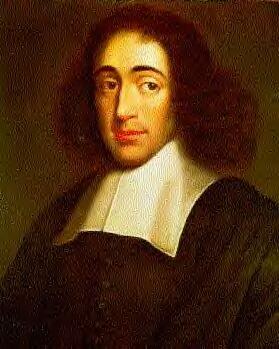 I’m going to focus on Spinoza because I don’t believe in God. Now we ask – what lesson can we actually draw from this 17th-century Dutch jew’s work? which we use in understanding the world, and actually express them rather than leaving them as fuzzy indefinable somethings. In this post I want to explore how this apparently innocuous endeavour leads to hilarious results. For example, they try to put into words the idea of ’cause’, and come up with ‘when one thing happens, and as a result, another thing then has to happen’. But why does it have to? The most readily available answer is ‘because it’s logically necessary’ – i.e., causation is an intelligible relationship, the cause logically implies the effect the same way that premises logically imply a conclusion. This of course blurs together causation and implication, but what can we say about causation if we keep them separate? Hume tried to do just that, and the result was very underwhelming. This is the first in a series of posts about two Early Modern Philosophers* (EMPs) called Benedict Spinoza and Gottfried Leibniz. Sometimes reading Spinoza and Leibniz, one is struck by a powerful feeling: what the hell are these guys doing? Why do I care? They seem to take some arbitrarily defined notion of ‘substance’ and then prove from it and various other implausible assumptions that everything you think is wrong, and that the truth about the world is something somewhat bizarre. To make it worse, they seem to make very similar implausible assumptions, and then deduce apparently opposite conclusions. WTF, mate? So in this post I want to try and put them in a context where their metaphysical craziness not only seems understandable, but moreover teaches us something actually relevant. 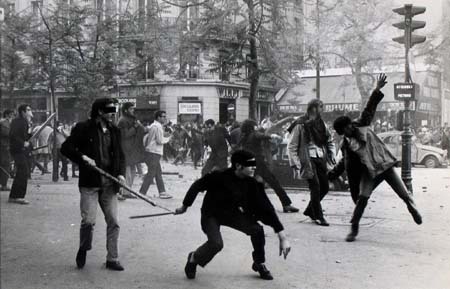 (this is another post liable to be mostly of interest to students of philosophy). The broadest context for these two, and Early Modern Western Philosophy, is science. Science has appeared, along with capitalism, individualism, freedom of criticism, and philosophy is trying to come to terms with this, to express the scientific enterprise in an intellectually coherent way.